South Africans take their holidays pretty seriously. That’s understandable after a year of hard work that often involves long hours and arduous commutes. But even as many people are packing mountain-bikes and suntan-lotion rather than laptops for their next journey, others will be travelling to meetings and presentations. So how can you stay sane and organized when it feels like you’re the only one boarding your flight who’s not in beachwear? Dawn Weir, head of kulula work, offers the following advice. Give yourself time:This holds true for any travel, but especially so when your time is less flexible than anyone else’s, and when you have meetings scheduled. If you’re a regular traveller you probably know about online check-in, having a valid proof of identity ready, and not carrying cutlery or power-tools in your pockets. But, it’s also good for your stress-levels to accept that other travellers might not be as prepared as you are. You might arrive at the security screening area with your laptop out of its bag, your pockets emptied of keys and your boarding-pass ready, but travellers ahead of you in the queue might not. Find your zone:You can’t wear headphones while the aircraft’s seatbelt lights are on and it’s taxiing, taking off or landing, but apart from that, they can be useful in blocking out cabin noise. You might choose to listen to music or a podcast or watch a movie on your portable electronic device. Binaural beats are composed at frequencies to promote creativity and concentration, and improve memory, and many people find them very useful for eliminating distractions. So, download some before your flight, especially if you know you’ll be working on a presentation to sell your start-up to that angel investor with deep pockets and need to tune out the debate among your fellow passengers about whether to order chicken or beef. 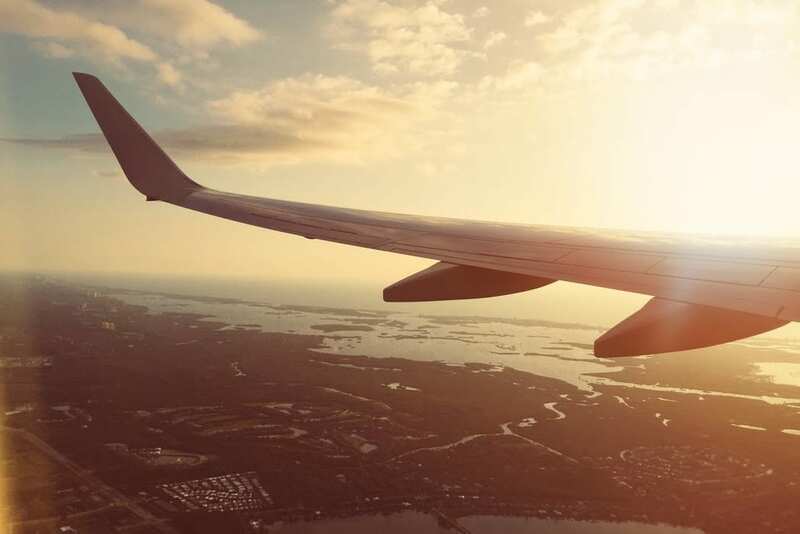 Be patient: The holiday season may be the only time that many leisure travellers fly, so you might encounter passengers who sit in the wrong seats and are puzzled by how parts of the aircraft work, like tray-tables, seatbelts, window-blinds and overhead baggage bins. It may also mean that you’re more likely to encounter travelling families, the very young or elderly. Be prepared to sit next to the parents who’re taking their infant to see its grandparents for the first time. They’ll be hoping desperately that the little one stays quiet throughout the flight. That won’t always be the case and showing your irritation won’t make the kid magically fall asleep. Know your resources:Lounge access, seat reservation and bag-drops can all make air-travel easier. And while the primary task of the aircrew is your safety, they’ll do all they can to make you comfortable. Reserving your preferred seat can also make your flight more comfortable.